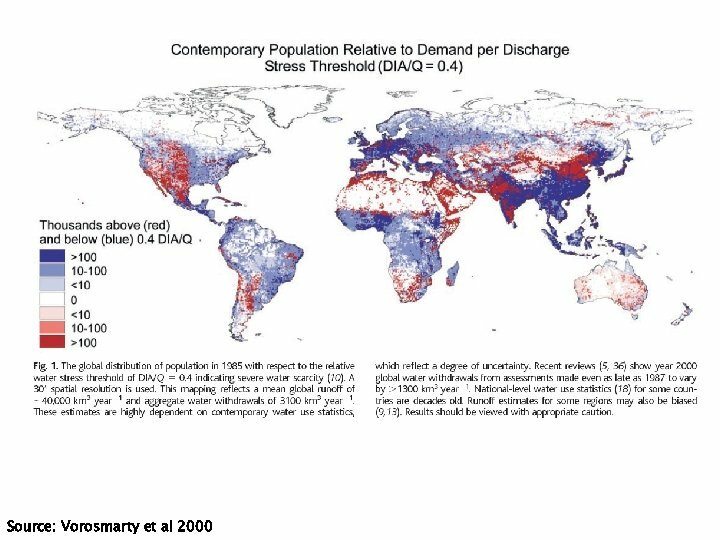 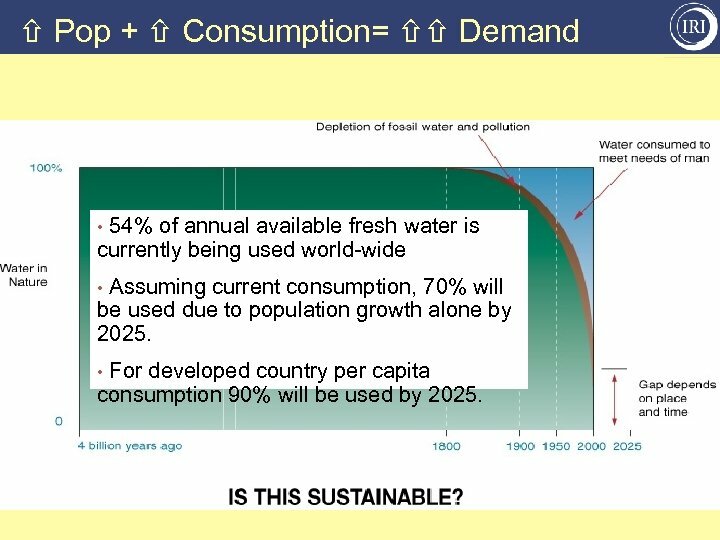 Semi-Arid and Arid Sub-Tropics and Tropics & Areas w/ High Population Density In the 20 th century the world population tripled – while water use multiplied six-fold! 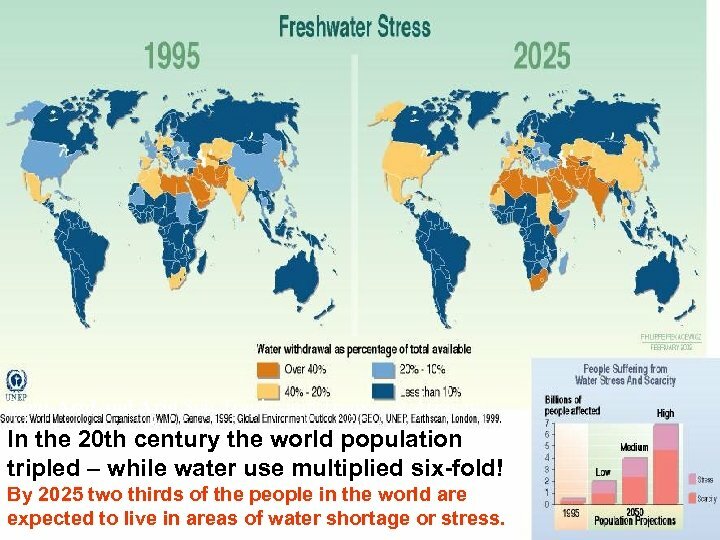 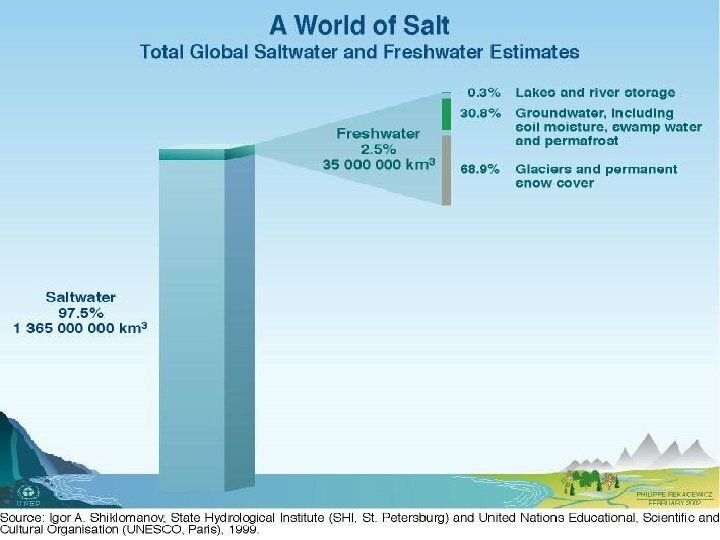 By 2025 two thirds of the people in the world are expected to live in areas of water shortage or stress. 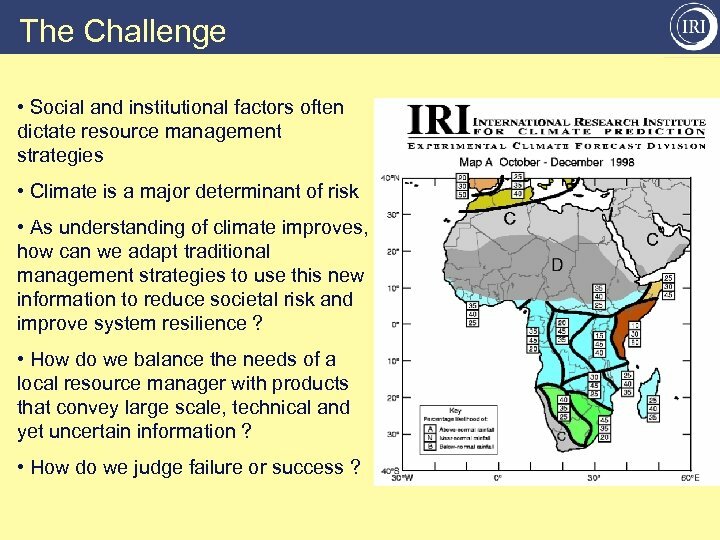 The Challenge • Social and institutional factors often dictate resource management strategies • Climate is a major determinant of risk • As understanding of climate improves, how can we adapt traditional management strategies to use this new information to reduce societal risk and improve system resilience ? 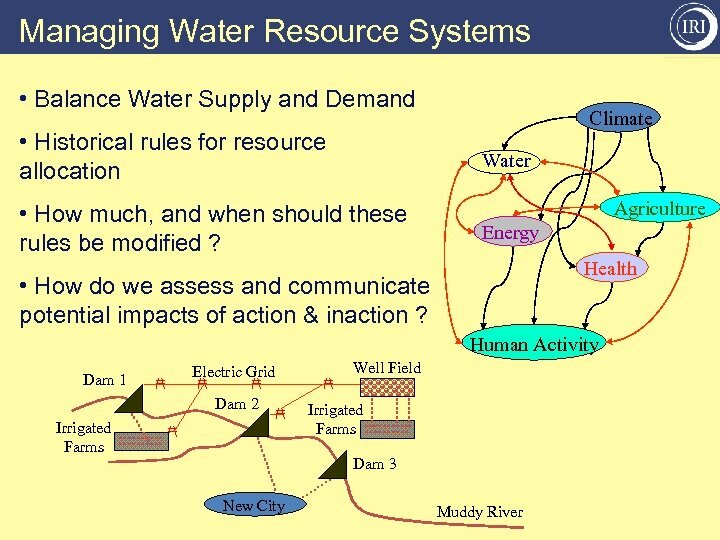 • How do we balance the needs of a local resource manager with products that convey large scale, technical and yet uncertain information ? 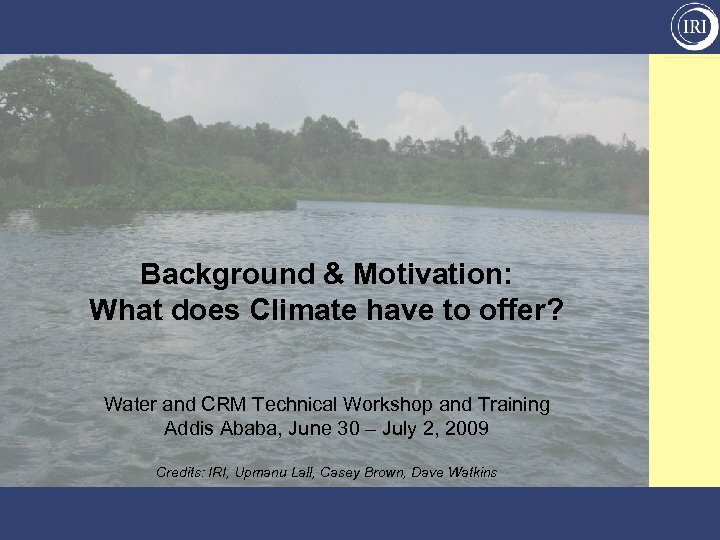 • How do we judge failure or success ? 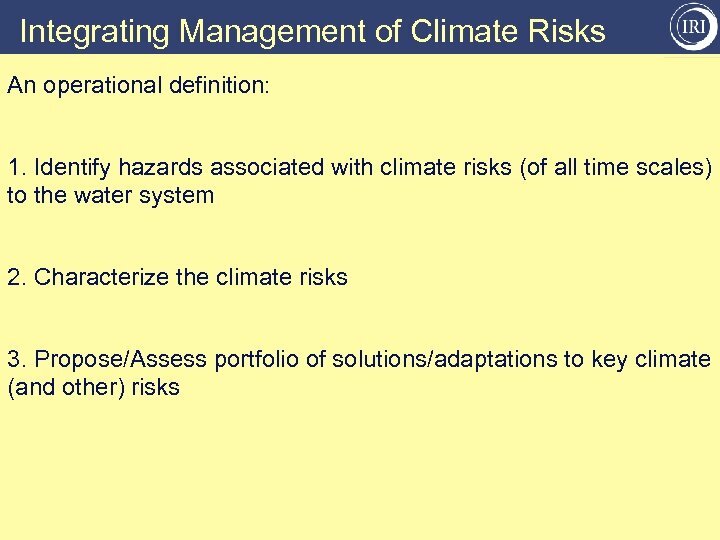 Integrating Management of Climate Risks 1. 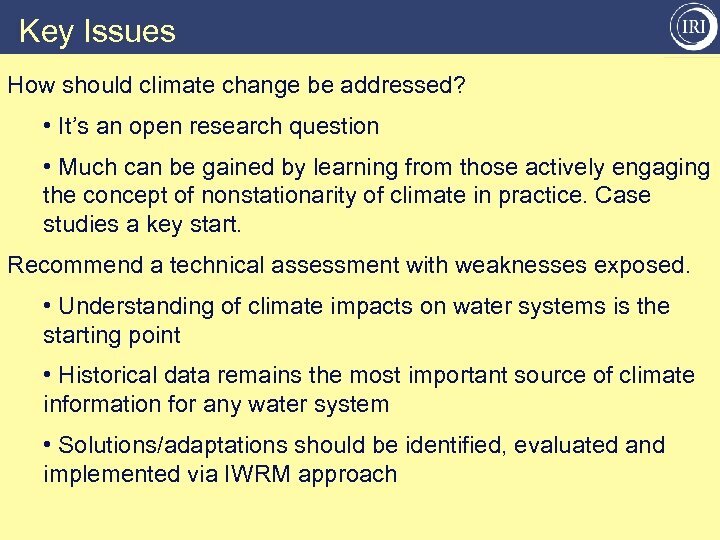 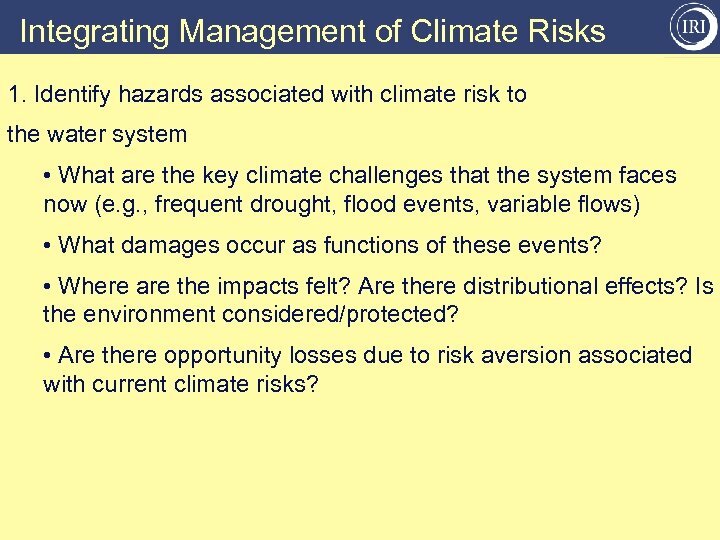 Identify hazards associated with climate risk to the water system • What are the key climate challenges that the system faces now (e. g. , frequent drought, flood events, variable flows) • What damages occur as functions of these events? 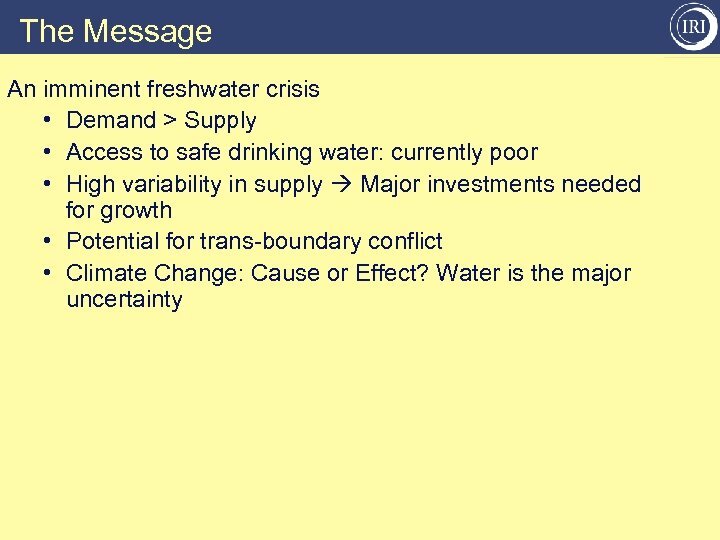 • Where are the impacts felt? 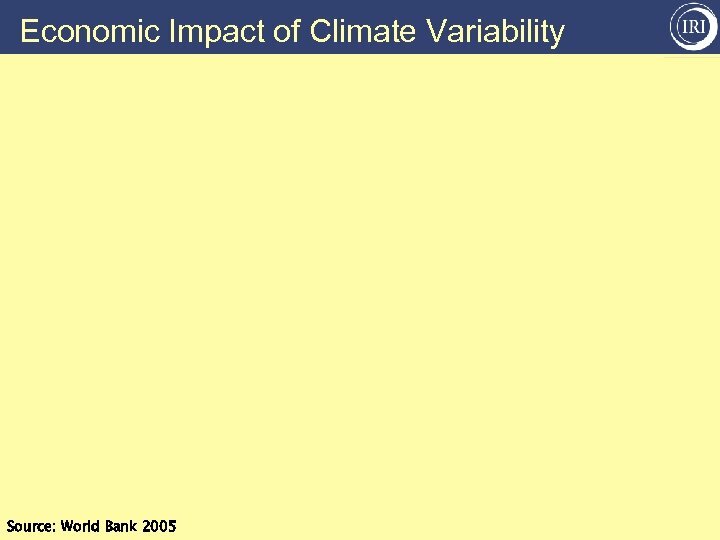 Are there distributional effects? 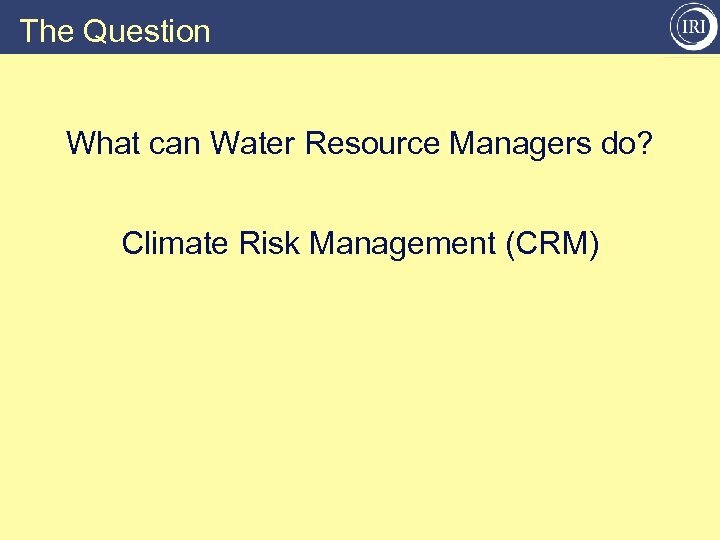 Is the environment considered/protected? 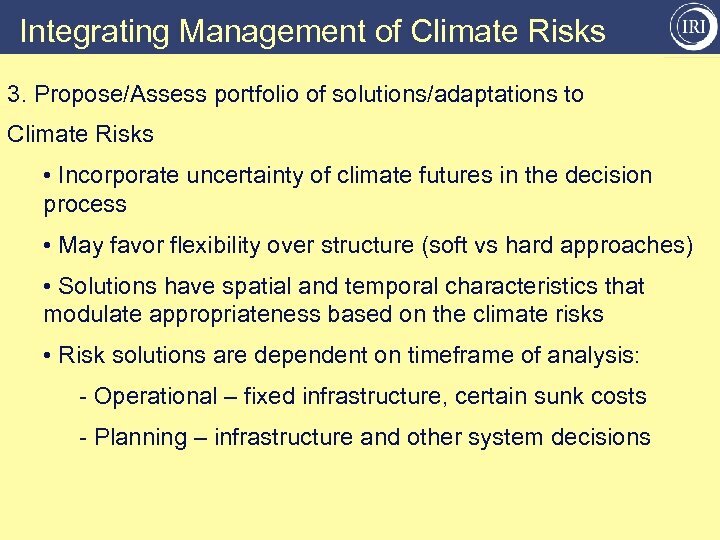 • Are there opportunity losses due to risk aversion associated with current climate risks? 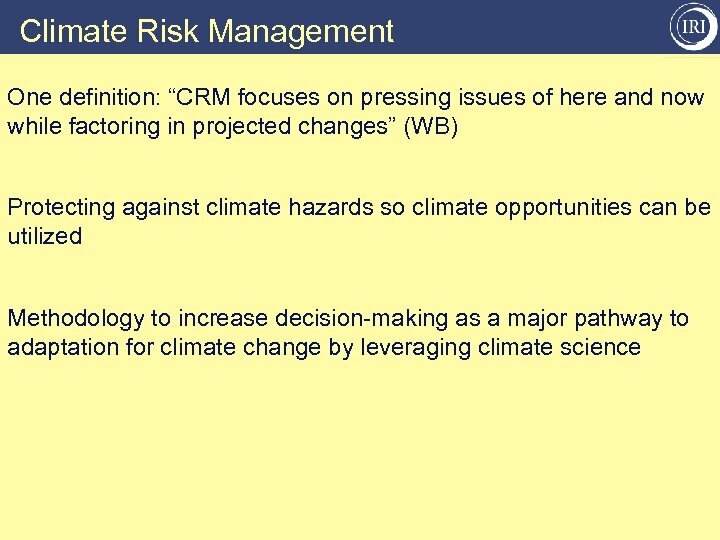 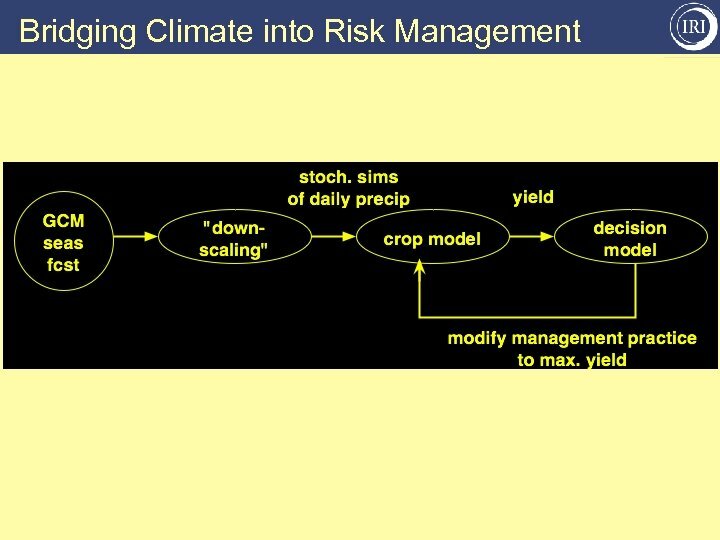 Integrating Management of Climate Risks 2. 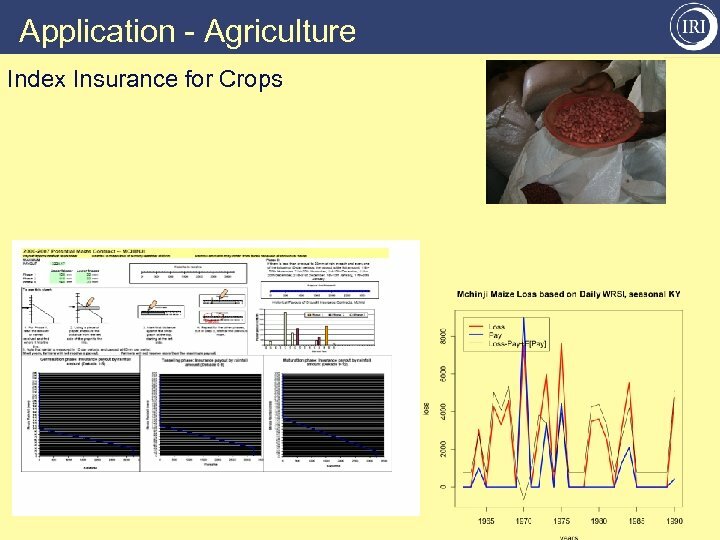 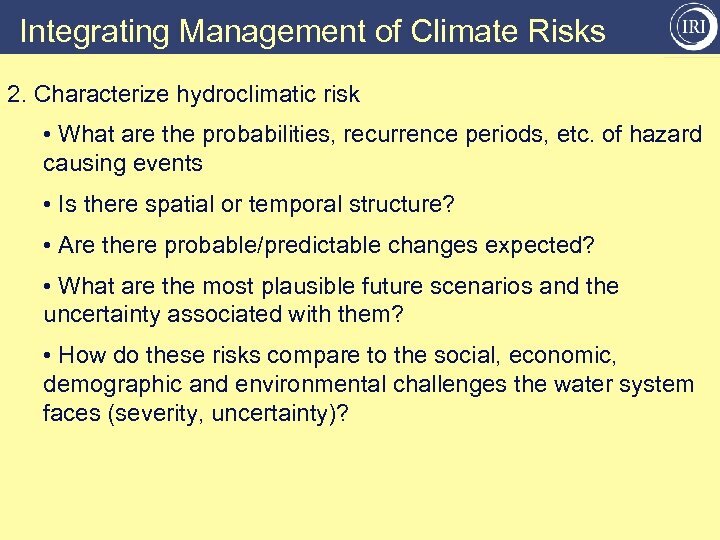 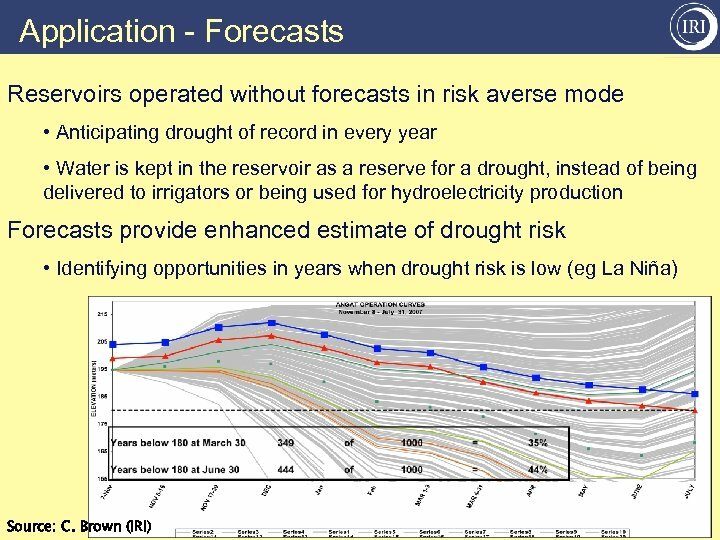 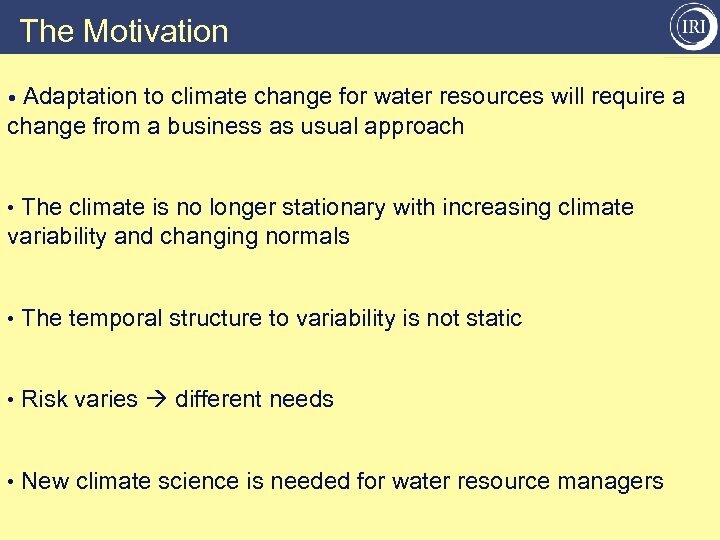 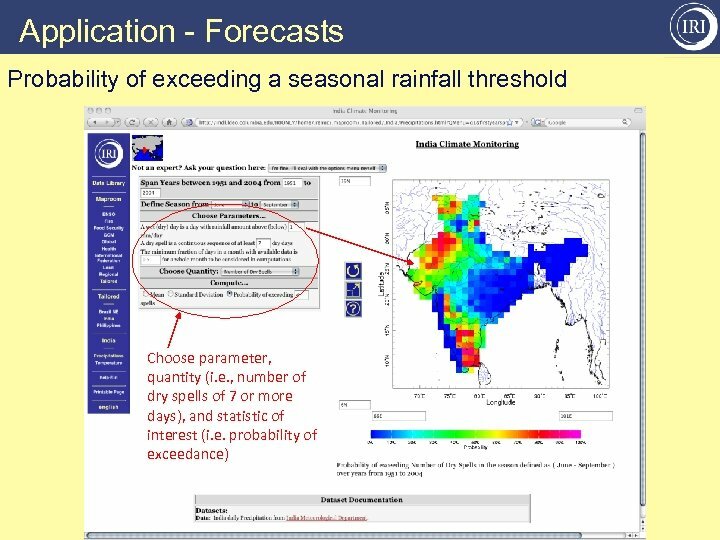 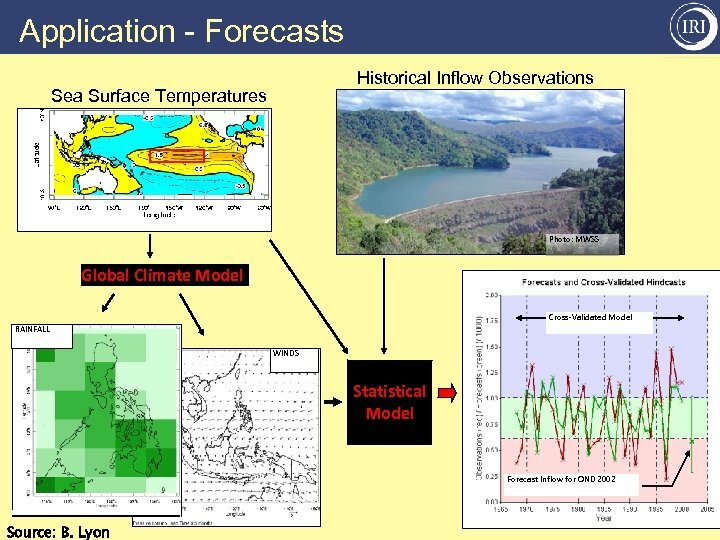 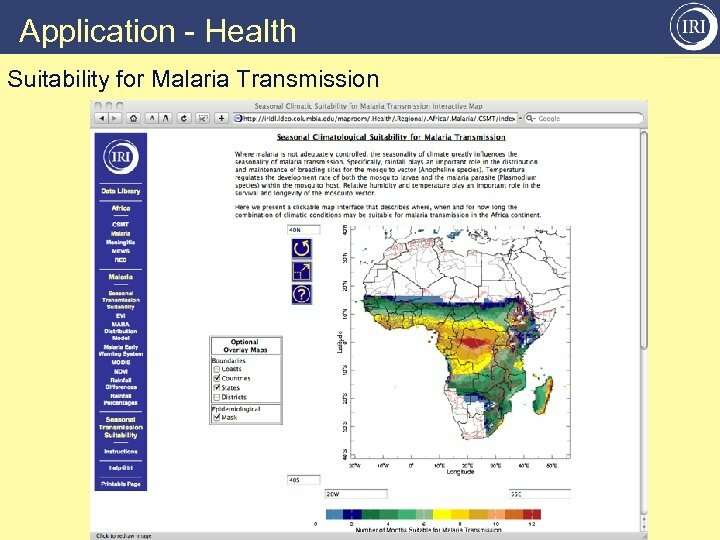 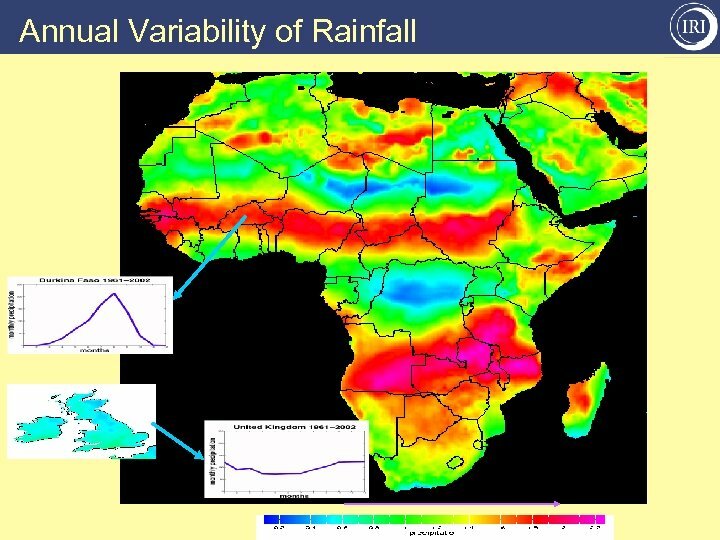 Characterize hydroclimatic risk • What are the probabilities, recurrence periods, etc. 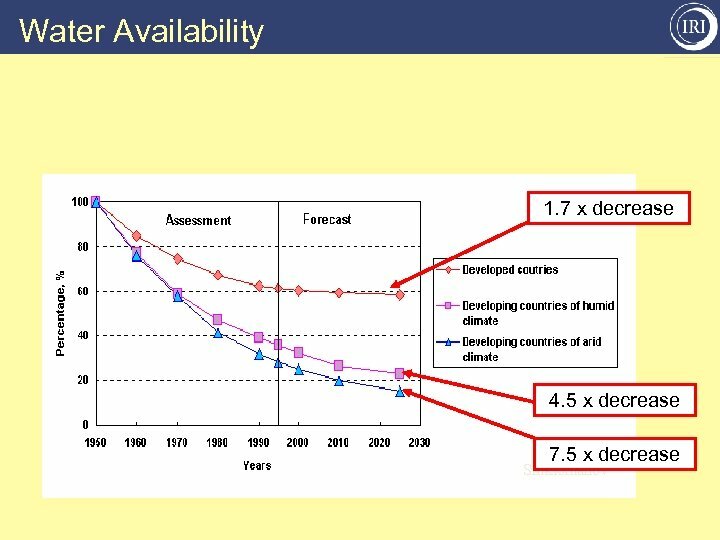 of hazard causing events • Is there spatial or temporal structure? 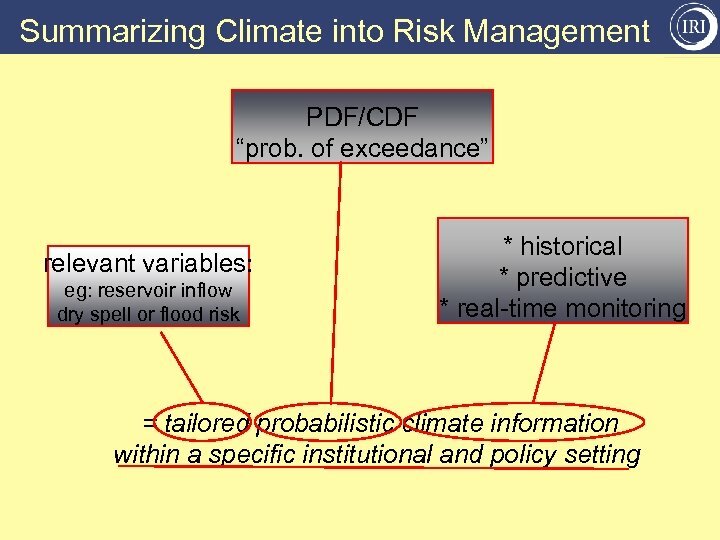 • Are there probable/predictable changes expected? 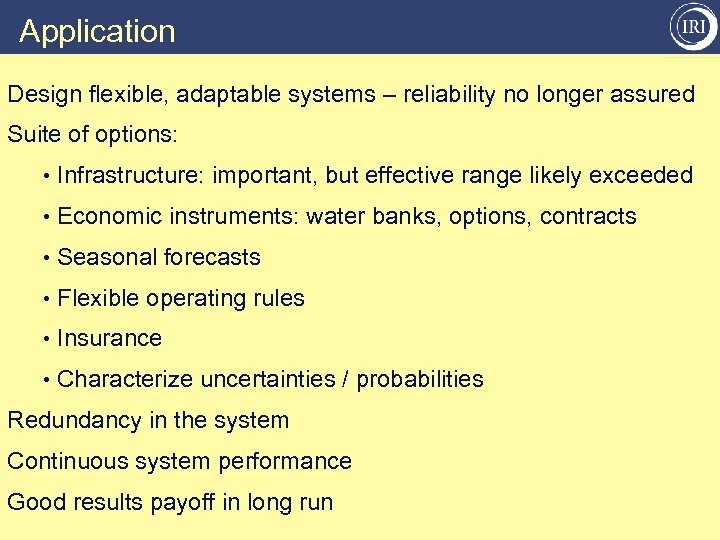 • What are the most plausible future scenarios and the uncertainty associated with them? 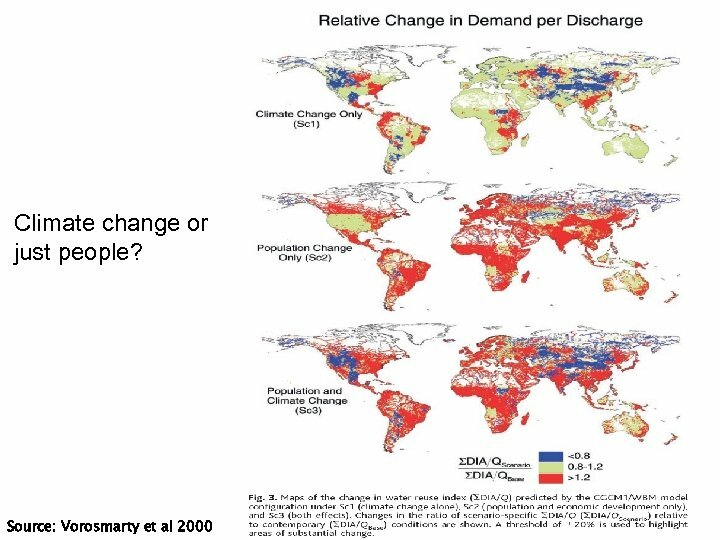 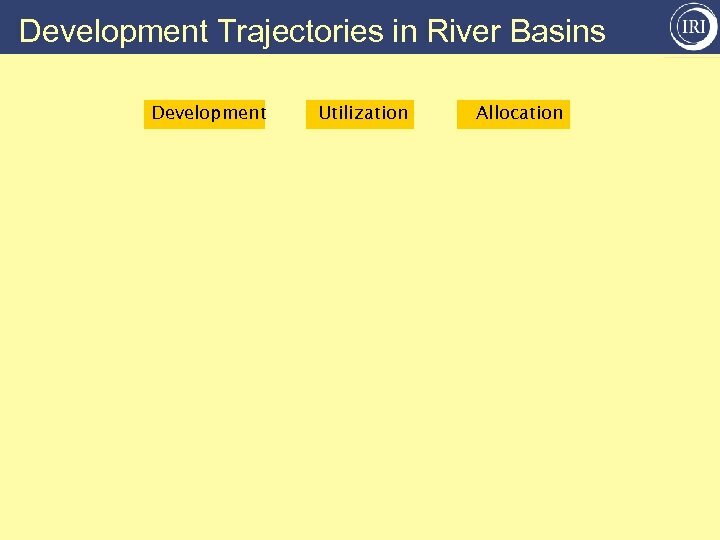 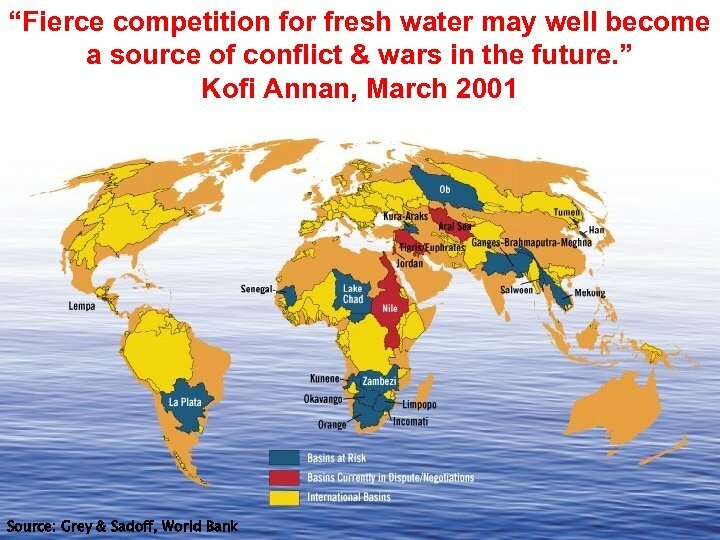 • How do these risks compare to the social, economic, demographic and environmental challenges the water system faces (severity, uncertainty)? 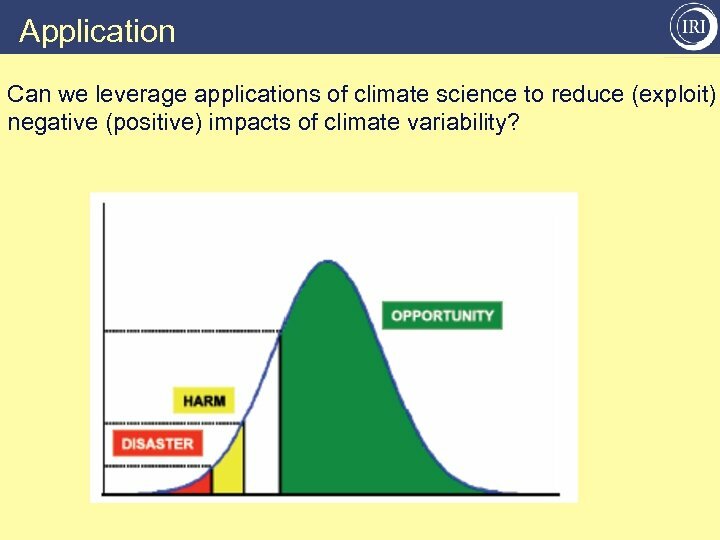 Application Can we leverage applications of climate science to reduce (exploit) negative (positive) impacts of climate variability?